I’m still working on Muslin 3.0 for my new dress – I think I finally have the bodice measurements down and I’ve decided what to do about the sleeves. But now I have to adjust the collar because after making so many tiny changes to the front of the dress the the collar isn’t quite as curved as I’d like. Ugh, but once I finish the collar I can attach the skirt and Muslin 3.0 will be finished and ready for the real thing! French curve set. I own more than these but these two are the ones I use most. French curves are designed to mimic curves on the body – think arm holes, neck openings, hip curves, etc. They all have a curved part at one end that straightens out at some point. Some sets have ruler markings. Mine don’t but they still work. I found mine in the art section at Joann. Clear acrylic ruler. I didn’t realize mine was upside down when I took the picture, oops! Good for drawing straight lines and making seam allowances on straight lines. Is not shown because I couldn’t find it – a protractor. I find this most useful when I’m transferring patterns from paper to the computer and I need to know exact angles of lines but It’s also helpful with darts and shoulders and even sleeves when the seam angles need to match. Tape measure – obviously you need one for measuring yourself but it is also good for measuring curves on pattern pieces. A thin bendy ruler also works for measuring curves, too. Short ruler. I think this has some sort of technical name but I don’t know what it is, ha! Useful for seam allowances on curves and general short measurements. Taylor’s chalk. Necessary for making marks on fabrics. Pen. Necessary for making marks on paper pattern pieces. Tracing wheel. Good for making copies of garments or pattern pieces without having to draw. Calculator. Or in this case, the calc app on my phone – or just my brain! Pattern making uses SO MUCH MATH. Ugh. Doubling seam allowances and quadrupling widths and shortening hems, oh my! I never thought in my life I’d be using this much math on a regular basis. When the equations get complicated it is good to have a calculator. Do you see anything that I’m missing? 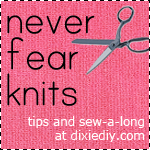 I didn’t include tools I use for general sewing – scissors, pins, cutting mat, etc. If you make patterns what do you most often use? Do Ginger (skirts) Have Souls?